A U.S. Senate Appropriations subcommittee has approved a $2 million request from Sen. Maria Cantwell for a Doppler radar and other equipment needed to track weather patterns along Washington state’s coastline. reads the first paragraph in an article at Daily World, an Aberdeen, WA newspaper. Good news indeed! 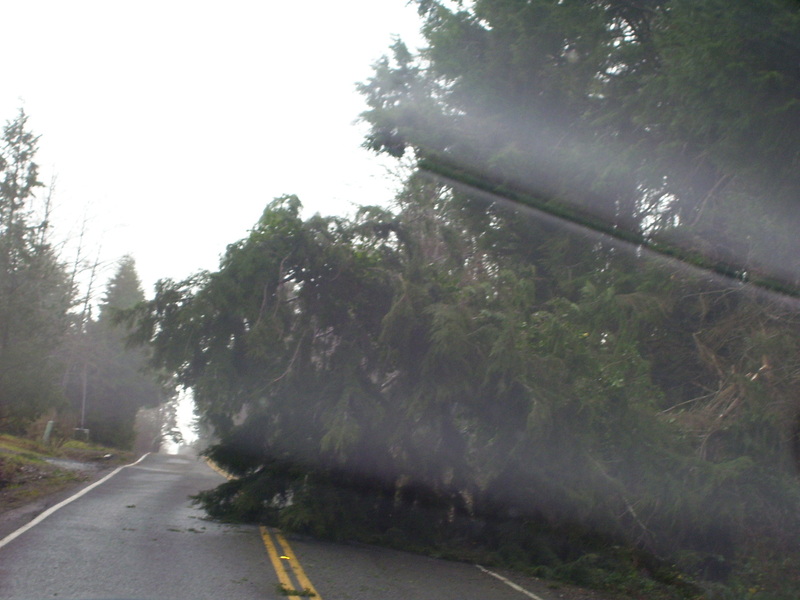 Especially to those of us in Southwest Washington counties who experienced the December 2007 storm (hurricane strength storm!) 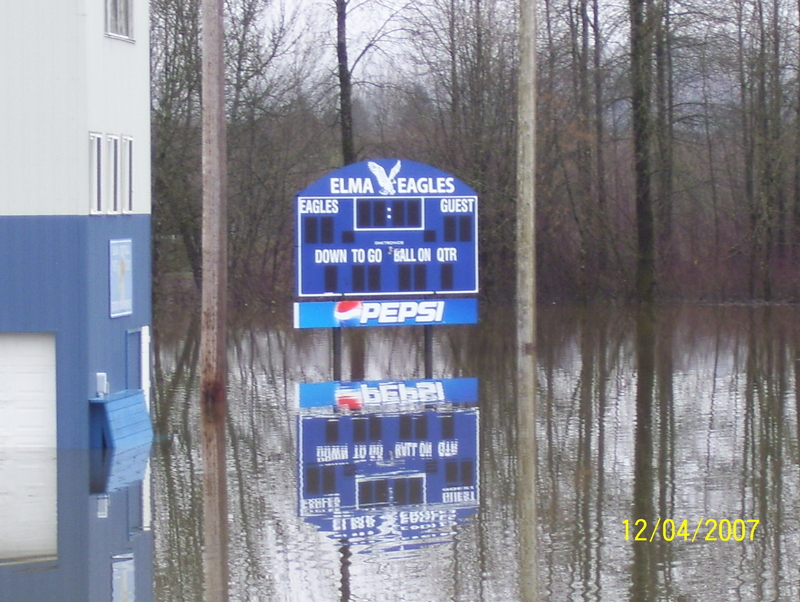 that flooded out Lewis County and had four counties in SW Washington declared FEMA disaster areas – my county, Pacific, and neighboring counties, Lewis, Grays Harbor, Thurston. A deserved shout out of thanks to Senator Cantwell. 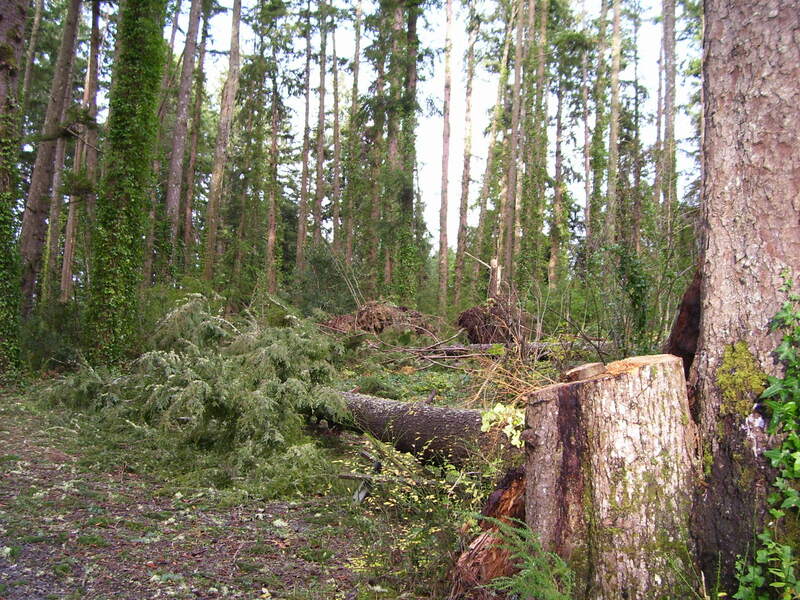 The storm hit us in December and was unrelenting for almost 3 days. For many, and for us in Pacific County, we found ourselves cut off and isolated from the rest of the state for several days without power, land line phones, cell phones, gasoline, or access to much in the way of help or services. Which isn’t to say that the Emergency Management Teams were not responsive; rather that the isolation was an outcome for several days. You can read more about it at the Washblog story here and here of course, here at this blog. In March 2008, Senator Cantwell held a meeting of the minds roundtable in Aberdeen, WA to discuss the whys and wherefores of the storm. What came out of that meeting was the lack of adequate Doppler Radar coverage to read the weather conditions in Southwest Washington. The Olympic Mountain Range and Willapa Hills (where we live) provide an interference that the current Doppler Radar located in Scappoose, Oregon is unable to read. The only other Doppler Radar to cover reading weather conditions in Washington is located far north at Camano Island. Oh, and KING 5 TV news has it’s own Doppler Radar that it purchased but it cannot read the weather conditions in SW Washington due to the natural terrain interference (Olympics and Willapa Hills). Meanwhile California coastline, which is far less storm-laden than our own Washington coastline, has mulitiple Doppler Radars to read that coastline weather. The inconsistency becomes more conspicuous as was evident in the powerful presentation given by University of Washington Professor Clifford Mass (see his website here) at the Senator Cantwell roundtable meeting held in March. Arthur and I attended that meeting in March, as bloggers at Washblog, as residents of Pacific County directly affected by the storm, and as general public. We were and are certainly not experts. I took notes, even had a brief interview shown by KIRO 7 TV, but I didn’t get around to actually writing up the story at Washblog. I did start to write it up here at WB, and can’t recall for what reason I didn’t conclude posting the actual story as I had the notes. Now I wish I had posted the story of the meeting. The request was spurred on by the savage December storm and intense lobbying by concerned residents as well as local community leaders. The approval is just the first step in what is usually a long process to get federal funding for practically anything these days, although the senator hopes the funding will make the final cut in a 2009 appropriations bill.The Coastal Radar was one of the top priorities given to Sen. Patty Murray during a community forum immediately after the December storm. A few months later, Cantwell conducted her own forum on the issue at Grays Harbor College and residents again were given a chance to make their case, which was spearheaded by Professor Clifford Mass, of the Department of Atmospheric Sciences at the University of Washington. Cantwell’s Press Office said the funding was approved on Thursday by the Senate Appropriations Committee Subcommittee on Commerce, Science, Justice and Related Agencies.”Despite having the worst non-tropical storms in the nation, Washington state has the worst weather radar coverage of any U.S. coastline,” Cantwell said in the press release announcing the news. Cantwell’s Office didn’t say where the Doppler radar would be located, but the likely spot would be in the Westport-Grayland area, which would be able to catch weather patterns coming not only off the coast but in the Strait of Juan de Fuca and the mouth of the Columbia River.The fishing industry, in particular, has been lobbying hard for the doppler system for years now, citing the dangers of fishing off the coast without a clear warning of storms that could be coming on to the horizon. Cantwell’s Office noted that a single radar on the central Washington coast could view storms over a hundred miles offshore. As an aside, I know my neighbors up in Mason County and Kitsap County on the Peninsula also felt the effects of that storm in December. I think with the sizeable, and unexpected flooding out in Lewis County which cut off I-5, some of our neighbors storm woes did not get much media coverage. On an upside to this storm, I read that some of the flooded out farmers in Lewis County are able to make a showing this season at the Olympia Public Market. Why not pay a visit and make a special effort to purchase produce from the Lewis County vendors? Today is Friday, Dec 7, 2007 and we just got power back yesterday, Thursday, Dec 6, 2007, after being without power, communications, access in or out of the county since the storm hit last Sunday, Dec 2, 2007. It was what it was advertised by the Chinook Observer to be – the storm of the decade and it affected most all of Washington coastline with grave flooding inland and great parts of Oregon coastline. Most hard hit with massive flooding was Lewis County and Grays Harbor County, our neighboring counties. Pacific County was hit hard too, enough to collapse a seemingly fragile infrastructure; no power, no land phones, no cell phones, no 911, no access in or out of the county and even emergency communications out of county to notify status were limited and curtailed. It was an eerie feeling to be so completely cut off. Later as the week wore on the reality of not being able to access our own bank account or get gas as gas pumps need electricity to work, and word of possible contamination of water in South Bend/Raymond, the fragility of the infrastructure not only in our own county but any county became evident to me. We must learn to rely on individual preparedness, and preparedness and help from among our community to see us through those early days of catastrophic weather events. And given what we experienced with this storm, I’m inclined to believe that with climate warming, we will see other such storms, perhaps not at that magnitude, but enough to cause breaks in the infrastructure here in Pacific County and in neighboring counties. Sorting out how to tell parts of the story, and rather than one big fat blog entry, I will want to break it down some. For the days without power and communications (phones, cell phones, 911, emergency access), I started a journal. Now that we have power back and I am seeing via internet news all the devastation around us in our own county and neighboring counties, I recognize we are among the very fortunate. Providing the link to the Washblog interview Noemie did with me when she phoned me yesterday to check up on us where she gives an account of what I shared with her. Report from Lietta Ruger: Storm Causes Complete Infrastructure Collapse in Pacific Co. I just spoke with Lietta Ruger, one of Washblog’s editors, and she asked me to post a little summary of our conversation. She plans to post something more in-depth later. 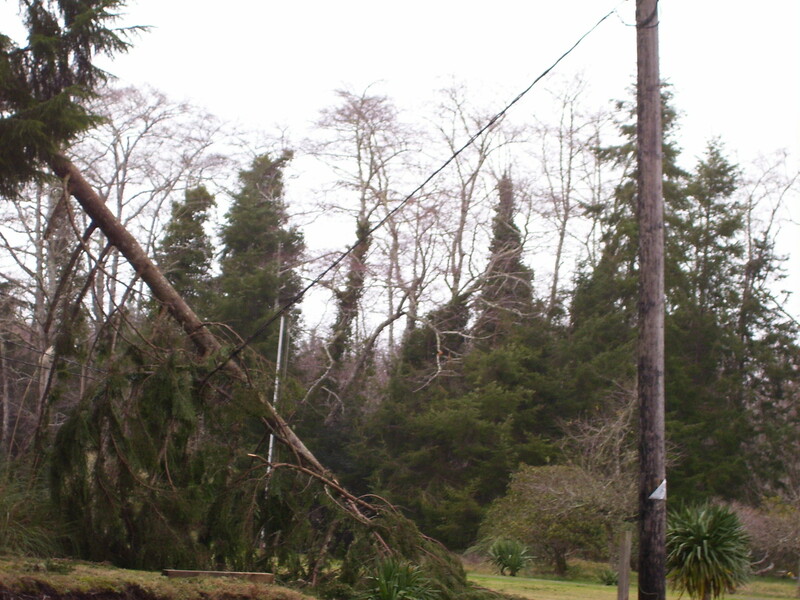 Having received this one warning, she and Arthur brought out their candles and blankets and cooked up the food in their refrigerator and battened down the hatches – just in case. The storm hit on Sunday and the three of them – including Lietta’s mother – stayed indoors for two days as winds up to 119 miles an hour raged outside. There was no electricity, no phone service, no cellphone service. After the storm subsided, the roads were so impassible in every direction, and the power outage and the lack of emergency service so complete — that as far as people in her community knew, they might have separated from the rest of the United States and floated off into the Pacific Ocean. It wasn’t until yesterday that a local store selling crank radios opened and she and Arthur were able to tune into coverage from Astoria, Oregon to find out the extent of the damage to the rest of Washington state. Even then, most of the stores remained locked, the social services office, where emergency help is usually offered, remained closed and dark. The gas pumps, which run on electricity, don’t work. People who have medical emergencies are out of luck. And at least one woman did die, when her house caught on fire from the candles she was using to provide light. There was no safe way to travel by water, either, because the water was moving too fast and there were too many other dangers, low tree branches, objects, etc. Even the county’s weather monitoring equipment failed. We know that winds reached 119 mph in Bay Center and 120 mph in Astoria, she said, because private citizens had equipment that withstood the wind, while the wind broke the county’s equipment. The problem wasn’t with community members. People helped each other quite a bit. In fact, the owner of the Bay Center grocery store, a woman named Lori, drove from Long Beach through all the hazards to Bay Center and fired up the generator and stove and cooked soups and made sandwiches to serve the people in that community. And her husband and son did that in the other grocery stores owned by the family in other nearby communities. But now that the electricity has come back on, and she’s learned that the rest of the world is still here — though Grays Harbon and Lewis Counties appear to have suffered even more — now she’s feeling pretty upset. This is a warning, she said, that we need to get our act together on emergency preparedness. We are experiencing the effects of climate change and we can expect more. This kind of storm is not on the usual scale. It’s a clear signal, as well, that we need some major changes in how we do media. Pacific County needs its own broadcast media. We talked for awhile about testimony at the recent FCC hearing in Seattle that local communities are endangered by the centralization of broadcast media. That is absolutely correct, she said. Now that she has a little time to think, it’s hitting her, the extent of this collapse of infrastructure: the lack of emergency preparedness and media coverage and the blackout on all services during the storm or for the 2 days afterwards. “This complete and utter failure, she said, “is unacceptable. of hurricane-force winds. Click on photos to see larger view. This is our second trip in October over White Pass en route to Eastern WA. The first time we took the trip over White Pass, I distinctly remember what I called those yellow Evergreens and how I told people about them and receiving a rather ho hum reaction. Either like I didn’t know what I was talking about or had mistaken the varieties of other trees with leaves that turn yellow in Autumn. But this time, I was prepared, sort of – because I knew what I was looking for and despite that my digital camera was too low on batteries to snap photos, I knew I planned to google it when we got home and find out once and for all about those yellow Evergreen trees. And, sure enough, I did find what I was looking for – it is called the Western Larch, or Subalpine Larch, or also known as Tamarack, or more precisely Larix Occidentalis. Elevation 1,000 to 4,500 feet in 20 miles on Highway 12 from Packwood to White Pass, and along White Pass where those Western Larch grow is a spectacular view in October. Western larch, a deciduous evergreen and the needles turn vivid yellow after the first frost. We seemed to catch the season just in time as the yellow Western Larch just popped amongst the permanent green evergreens alongside the mountain. It is so much worth the drive just to see the view. Photo courtesy of Steve Jurvetson, who graciously provided creative common license for use of his photo.